Why You Should See It: Still trying to figure that out. 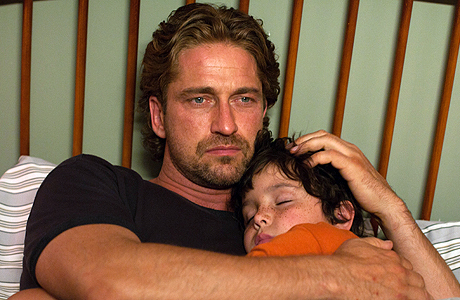 Why You Should Avoid It: Because Gerard Butler is content to collect checks off his one shining moment in time (300) and because it’s near impossible to think of the last movie Jessica Biel was in that exceeded expectations. And the Magic 8 Ball Says: Not now. Probably not ever. 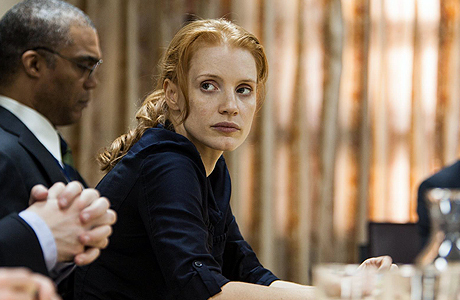 Why You Should See It: Because it’s received some Oscar buzz. Why You Should Avoid It: Because after openly weeping about his Oscar loss to Sean Penn in 2004, seemingly every dramatic turn Bill Murray's made has received this kind of buzz and many of those efforts have not been good. Make up call, anyone? And the Magic 8 Ball Says: ZZZZzzzz…..
Why You Should See It: Because Rebecca Hall is a good actress who has done some good work. Why You Should Avoid It: Because Bruce Willis is now a bad actor who has done some very bad work. And the Magic 8 Ball Says: Netflix queue bound. 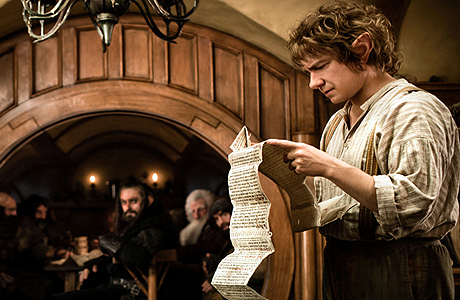 Why You Should See It: Because Peter Jackson is a fantastic director who loves the source material. Why You Should Avoid It: Because the last time a prequel to an epic trilogy was made, audiences had to endure two and a half hours of Jake Lloyd as a young Darth Vader. And the Magic 8 Ball Says: Yes in IMAX because of the Man of Steel trailer and the first nine minutes of Star Trek Into Darkness. Why You Should See It: Because before Seth Rogen was banished to Hollywood purgatory, he was on a decent roll. And of course, Yvonne Strahovski of Chuck fame. Why You Should Avoid It: Two words – Barbara Steisand. And the Magic 8 Ball Says: Not if I can help it. Why You Should See It: Because the White House may or may not have been a bit too accommodating to the creative team behind this film. Why You Should Avoid It: Because it doesn’t exactly jive with the Christmas season. And the Magic 8 Ball Says: Most likely a yes. Why You Should See It: A ton of legitimate Oscar buzz behind this film featuring two very accomplished performers in McGregor and Watts. Why You Should Avoid It: Because disaster movies tend to be very similar – even the ones depicting real life events. 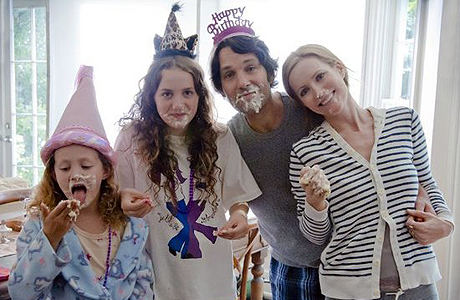 Why You Should See It: Because Apatow and Rudd together usually equals a winning formula. Why You Should Avoid It: Because I have rarely ever heard someone say that turning 40 is great! 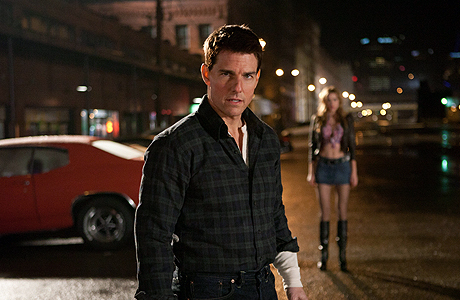 Why You Should See It: Because it is based on the highly popular work of British thriller novelist, Lee Child. Why You Should Avoid It: Because although Tom Cruise is a hard worker and a strong performer, it becomes increasingly difficult to separate the actor from his personal baggage. And the Magic 8 Ball Says: Yes. It should be an entertaining movie. Why You Should See It: Because the movie features a very talented cast. Why You Should Avoid It: Because theatrical productions do not always translate very well to cinemas. And the Magic 8 Ball Says: Girlfriend rules most definitely apply here. 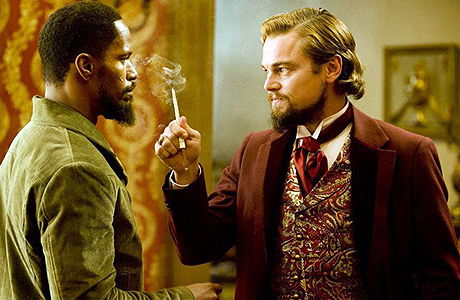 Why You Should See It: Because it’s a Quentin Tarantino film featuring Leo DiCaprio. Why You Should Avoid It: Because it’s a Quentin Tarantino film featuring Jamie Foxx. And the Magic 8 Ball Says: Definitely worth a look. Thanksgiving Day typically marks the frenzy that is the Christmas season. Black Friday sales, eggnog, Christmas Carols, and ugly sweaters absolutely become the norm as the weather turns chilly in most parts of the country. As a primer to help you get into that Yuletide spirit, I have put together a list of ten movies you should see over the holiday season. This isn’t about It’s a Wonderful Life, A Christmas Story, or The Santa Clause - three Christmas-centric movies you can probably find playing on a continuous loop in December, but movies that you may or may not typically associate with the holidays that have plots that can be enjoyed any time of the year. Connection to Christmas: Three bumbling brothers venture into a small town on Christmas Eve to rob a bank when its vault is loaded with various Christmas funds. Why You Should See It: Because although Nic Cage is hit or miss, when he is a hit, the movies tend to be very entertaining. 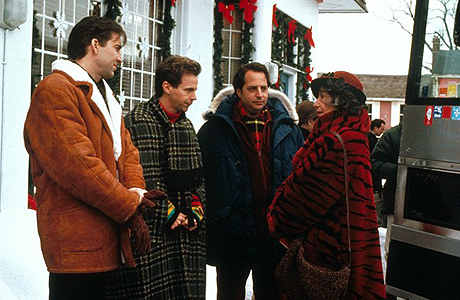 While this one isn’t a shining example of cinematic excellence and its comedic sense can be campy (the presence of Dana Carvey and Jon Lovitz confirm this), there is a very nice sense of sentimentality pervading this film that leaves you with a plethora of feel good moments. Connection to Christmas: One of the zillion pop culture takes on Charles Dickens’ A Christmas Carol, this one features Bill Murray as a cantankerous television executive visited by a trio of zany ghosts intent on making him see the error of his ways. 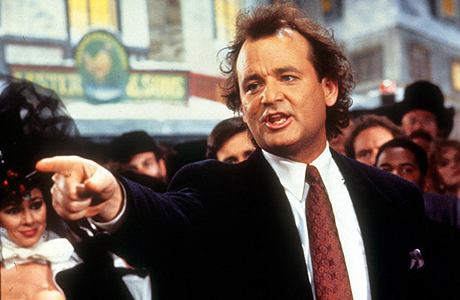 Why You Should See It: This movie was released in 1988 when Murray was still a comedian and not the offbeat difficult-to-work-with pseudo auteur that he has morphed into in the latter stages of his celebrated acting career. In this film, his work features wit and strong physical comedy, breathing life into a story that has been done to death. Connection to Christmas: This movie is a hybrid of It’s a Wonderful Life and Sliding Doors set against the backdrop of Christmas in a New Jersey suburb. 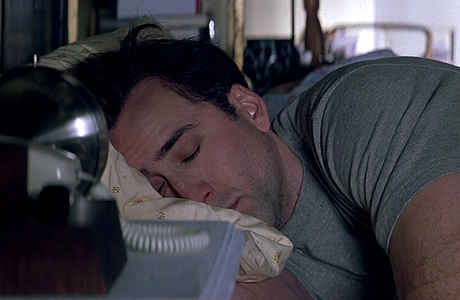 Nicolas Cage plays a man who is shown a window in what his life would have been had he chosen love over career. Why You Should See It: It is rare these days to find any positive list that has two Nicolas Cage entries on it, but this is another movie that features good Nic Cage. Like Scrooged, this film breathes life into a plot (the whole “what could have been”) that has been retold in so many incarnations in the past. Cage excels as a fish out of water routine and Tea Leoni is very charming as his would-have-been-wife. Connection to Christmas: Batman must stop the Penguin’s plot to take over Gotham City during the Christmas season. His efforts are complicated by the appearance of Catwoman whose intentions swing like a pendulum do! 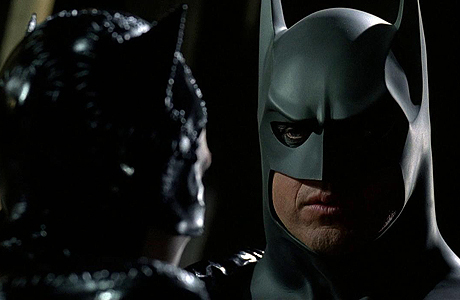 Why You Should See It: I am not a fan of director Tim Burton and I was not particularly a fan of Michael Keaton as Batman, but I think this was the best of the pre-Christopher Nolan Batman films. Burton’s view of Gotham City during Christmas is visually stunning and Michelle Pfeifer and Danny DeVito play worth villains for Keaton’s Dark Knight. 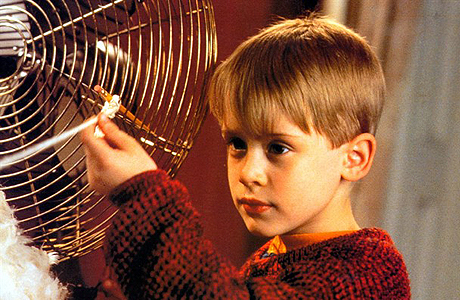 Connection to Christmas: Macaulay Culken’s Kevin is accidentally left behind during the Christmas season while the rest of his family heads off to France for vacation. Culken is left to his own wits in order to defend his home from two burglars intent on looting the seemingly vacant house. Why You Should See It: This movie is a classic and features Culken who at that time was the most recognizable childhood actor. His brand of comedy was incredibly good for his age and Daniel Stern and Joe Pesci are hilarious as the two bumbling wet bandits. There is no doubt you will walk away from this film feeling that warm holiday cheer. 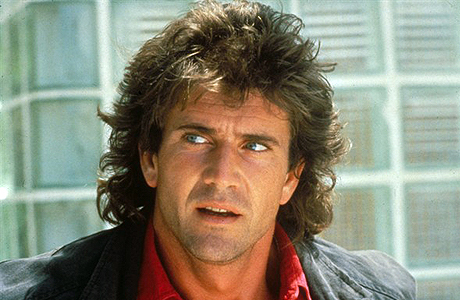 Connection to Christmas: Danny Glover’s Murtaugh is partnered with a suicidal cop in Mel Gibson’s Riggs. Together they are charged with stopping a gang of drug smugglers against the backdrop of the holiday season. Why You Should See It: This is the movie that started the highly lucrative franchise and really pushed Mel Gibson to the A-list back at a time when he was hitting his stride as a performer. Gibson and Glover have great chemistry and the movie is both tense and taut, with just enough wit to keep things balanced. Connection to Christmas: Two wealthy businessmen decide to test their sociological theories by reversing the lives of a privileged investor and a street criminal. As the holidays role through and the human guinea pigs discover this plot, they seek to exact revenge on their tormentors. Why You Should See It: The movie features a pre-Norbit, pre-Nutty Professor Eddie Murphy back when he was more than just a ridiculous laugh and a bunch of over-the-top voices. 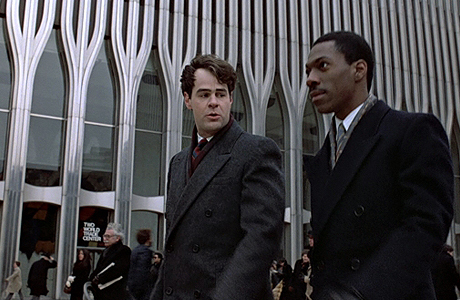 And opposite him is an in his prime Dan Aykroyd, which means the laughs are consistent and the acting surprisingly good for this John Landis comedy. Having Ralph Bellamy, Don Ameche, and Jamie Lee Curtis in supporting roles also helps the cause. Connection to Christmas: Hugh Grant plays a man iving off the royalties of a famous Christmas song written by his father. He fancies himself an island, cherishing the life with no personal connections until he meets a young boy and his troubled mother. Through this new friendship, Grant grows as a person and comes to view his life through a new lens. Why You Should See It: Nobody is better than Hugh Grant at playing that selfish character who doesn’t quite get things, but through the course of a movie figures out the error of his ways and morphs into a very likable guy. If you look at his filmography, this paradigm describes half the roles he’s been cast in. 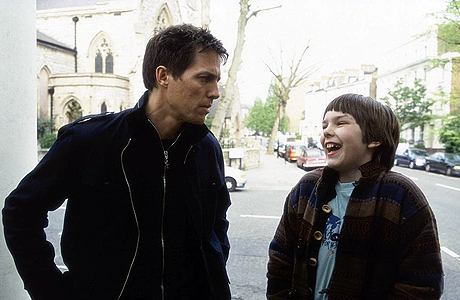 About a Boy is probably his best effort in this capacity. The film has a sense of loneliness that is palpable but eventually gives way to waves of sentiment. 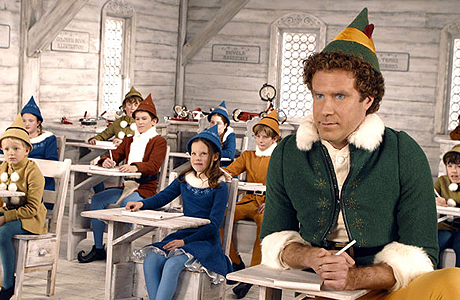 Connection to Christmas: Will Ferrell plays Buddy, a human who was raised amongst elves. When he discovers that he was in fact adopted, he ventures to New York City to find his biological father and spread his brand of Christmas cheer. Why You Should See It: This movie has replaced It’s a Wonderful Life and A Christmas Story as the quintessential must see movie of the holiday season. Favreau’s pacing as a director is spot on, Ferrell’s comedic sense is absolutely on point, and Zooey Deschanel is…well, she’s Zooey Deschanel. 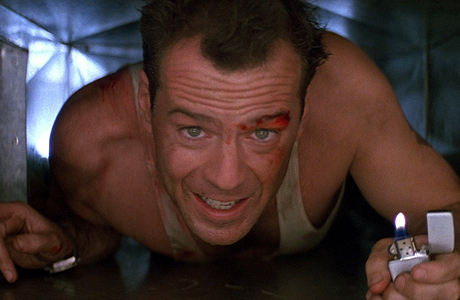 Connection to Christmas: Bruce Willis plays John McLane, a New York City cop who has come out to Los Angeles for Christmas to visit his estranged wife and children. While at her place of employment, he finds himself caught in the building as a sophisticated band of terrorists look to loot the company’s vault. Why You Should See It: This is by far Bruce Willis’ best movie and is usually in the conversation for best action movie of all time. It has it all - sentiment, action, memorable tag lines, more action, and dripping sarcasm. Almost nothing could exude less traditional Christmas cheer than this movie, and yet the holidays completely pervade this narrative. Great movie. Celeste & Jesse Forever looks and smells like a romantic comedy. From the cast (Rashida Jones as the Rom and Andy Samberg as the Com) to the trailers, which were cut to make you chuckle and tilt your head and say “awwwww” at the same time, this movie screams When Harry Met Sally and Serendipity. However having watched the movie, I can tell you that it is precisely neither. Sure, there’s a dash of romance and a pinch of comedy, but the film that director Lee Toland Krieger and writers Rashida Jones and Will McCormack have cooked up is anything but. What the film is, is an interesting look at what happens when the bridge between friendship and love falls apart and the process of rediscovering oneself in the aftermath. The movie follows Celeste (Rashida Jones) and her estranged husband Jesse (Andy Samberg) - two individuals with an awkward if not unhealthy attachment to each other. Their chemistry and friendship is such that it makes you wonder what beneath the surface differences are keeping them apart. The story thus follows the ebb and flow between the two as they struggle to move on even in the face of life altering developments. What works about this movie is that the main characters are flawed in small ways that allow them to remain likable and that they are put in situations that most everyone can relate to. It gives the film an authentic and poignant feel. Who hasn’t had that one relationship that should have worked out but for any number of barely perceptible reasons went awry? And while there are certainly a few dramatic moments for entertainment’s sake, the way the creative team handles loose ends is subtle with a delicate touch. This is very much Rashida Jones' film. As Celeste, she receives the most screen time and her work in fleshing out the nuances of her character is key to making this narrative work, because it is Jones who acts as the catalyst to the plot and it is her loss that the audience experiences. Jones does a remarkable job of creating a character who is maddening, likeable, flawed, and hopeful. It is without a doubt her most complex role to date and she does a good job of pulling it off. Playing opposite her, Andy Samberg is perfectly cast as Jesse. His character is everything you would expect from a typical Andy Samberg character without the over-the-top comedic hijinks. He is adept at playing the immature but good-natured slacker and that’s precisely what he is asked to do here. While I don’t think we’ll be seeing Samberg amongst the list of Oscar nominees any time soon, this film represents a good dramatic turn for the SNL alum. As for the rest of the cast, Ari Graynor (What’s Your Number?) does a serviceable job as the best friend – a role that she always seems to play. Ditto for Eric Christian Olsen (Fired Up!) who is affable enough in the role of male confidant. Elijah Wood, Will McCormack, and Chris Messina help to add a bit of depth to the plot in very little screen time, and Emma Roberts brings up the rear as the lone blemish in what is a fairly well acted movie. Her performance as pop star Riley is a campy half-hearted attempt that is sorely out of place in a movie that is firmly grounded in realism. All the pieces come together to form a nice movie. There are no big scenes or overly dramatic turns and no eye-popping visuals. It’s a subtle take on two individuals and their ability (or inability) to cope with the intracasies of their relationship. If this is your cup of tea, then you will love this movie. 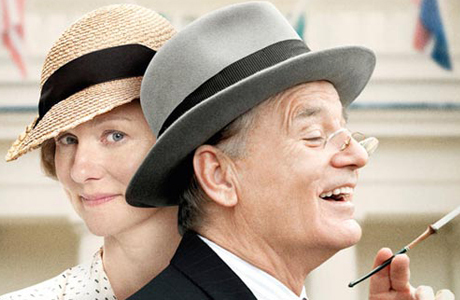 If you are looking for laughter, romance, feel-good moments, catharsis, then you may not enjoy this film quite as much. I would recommend this film for anyone who enjoys smaller scale movies with an indie flair, but know that you won’t feel rewarded at the end for watching this film. You’re more apt to nod your head in empathy. Standout Performance: Rashinda Jones. This is the first movie I have seen where Jones is asked to carry the film and she does a very good job of portraying a complex character in a way that is both compelling and entertaining. 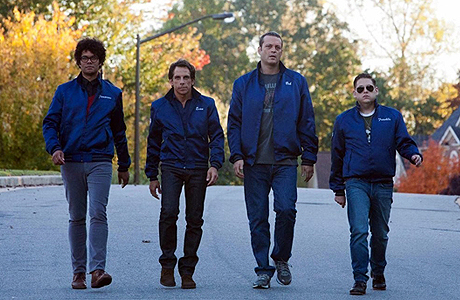 During its domestic theatrical run, The Watch starring Ben Stiller, Vince Vaughn, and Jonah Hill amassed just a hair over $35M in ticket sales. When pieces of blame pie were being handed out for the film’s poor performance, much was attributed to the issues that arose due to the Trayvon Martin shooting. 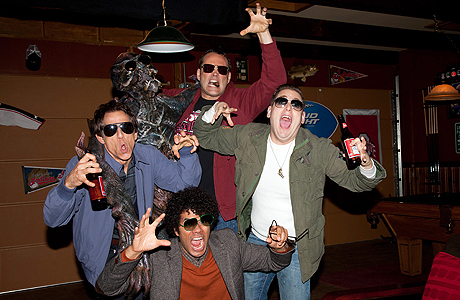 To avoid any backlash, Fox scrapped the film’s original title – Neighborhood Watch – and focused its marketing towards the alien invasion aspect of the film rather than the neighborhood watch theme (and by extension, the film’s high priced talent). Having seen the movie, I have a new theory as to why it performed so poorly at the box office; because it wasn’t funny. The movie follows Ben Stiller’s Evan, a manager at a local Costco who decides to form a Neighborhood Watch group after one of his employees is brutally murdered inside the store. 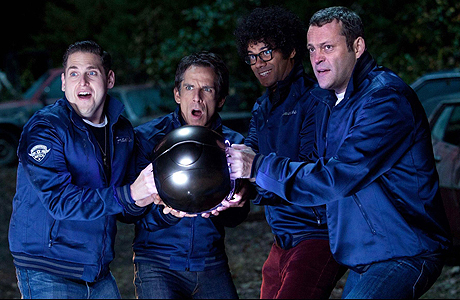 Bob (Vince Vaughn), Franklin (Jonah Hill), and Jamarcus (Richard Ayoade) join Stiller and not a moment too soon as the four ill-prepared individuals find themselves thrust into the middle of an alien invasion. In looking at the cast and crew associated with this project, I could not help but have high expectations for this film. Stiller (Zoolander), Vaughn (Wedding Crashers) and Hill (21 Jump Street) have all achieved tremendous comedic success in the past and ditto for writers Seth Rogen and Evan Goldberg (Superbad). In all honesty, you could probably put this group in an empty soundstage with no script and film them riffing for two hours and come away with comedic gold. So it begs the question, why this film was so subpar. The premise of the film is goofy and the set up silly. The formation of a misfit group of watch dogs thrust into a crisis for which they are not qualified to handle clearly offers the opportunity to explore some fantastic comedic moments – both scripted and adlibbed. Sadly, the laughs are very few and very far between. While the simple answer is to say poor writing is the culprit, Stiller, Vaughn, and Hill are known to go off script quite often and so they must shoulder much of the blame. Stiller gets first billing in this film so he gets the most blame. 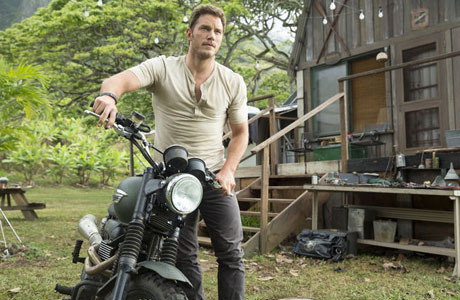 As his career has matured, he has moved away from happy-go-lucky bumbling schlep roles towards awkward, somewhat edgy, disconnected characters. Once the actor who would generate laughter, these days he plays more the straight man trying to set others up for the punch line like a point guard in basketball game. The problem here is that’s not Stiller’s game. His best is being likable, goofy, and self-deprecating in a way that makes audiences root for him. Unfortunately, in this film he’s awkward, friendless, and a bit overzealous about tedium. As for Vaughn, somewhere along the lines he went from acting out characters that are very slick in the way they could care less to becoming an actor who just doesn’t seem to care a bit about the roles he portrays. His delivery staunchly remains breezy and sarcastic even when the role demands otherwise and in spite of the fact his shtick has gone stale. And then there’s Jonah Hill. Hill to me is the cinematic equivalent of the moon. He has his moments to shine, but at the end of the day that light is drawn from whomever he is playing opposite. A lot of his best works is off script, off the cuff, and born from lively sarcastic exchanges with other comedic talents. His track record bears this out as he is at his best as one half a comedic duo (21 Jump Street, Superbad) or part of an ensemble and his least impressive work occurs when he has been asked to do most of the heavy lifting himself (The Sitter). And because of this, Hill is left to sink to the level of those around him in this movie. Sure, there are other people in the cast who contribute to this exercise in cinematic mediocrity, but if you saw this movie it was because of the aforementioned triumvirate and those are the three that should be held responsible for a movie that I can’t recommend. It’s a hard thing for me to say because in the past I have been a fan of this crew and their sophomoric brand of humor, but all comedians have a shelf life and it seems that Stiller and Vaughn may have reached the end of theirs. It’s not an obscenely bad movie, but it’s a comedy that’s not really funny. At best it’s a bottom of the Netflix queue movie that will never migrate its way to the top of the list. So here’s hoping that Stiller finds his groove again in the much discussed Zoolander sequel, though I for one won’t hold my breath on that. It seemed for a while that the only thing that could stop James Bond was bankruptcy but after four years of financial turmoil and one well publicized deal between MGM and Heineken, Bond has made his way back to the big screen to once again remind one and all that Daniel Craig is indeed the best version of the iconic super spy. As for those suggestions emanating from across the pond that Skyfall is the best installment of the series to date, I would say that title still belongs to Craig’s first endeavor, Casino Royale. Still, it is a very good movie that also serves to set up the franchise going forward. The plot finds Bond on the hunt for a cyber terrorist who possesses a list of undercover operatives and is hell bent on exacting revenge on M for past transgressions. Broken physically and emotionally, Bond must overcome his professional baggage to put a stop to this plot before Mi6 and its integrity is completely obliterated. If you are familiar with Sam Mendes’ work, it should come as no surprise that Skyfall is completely character driven with multiple layers woven together into one complete narrative. Perhaps the most striking of these layers is the interplay between old versus new that runs throughout the film. Age versus youth, digital versus analog, technology versus old school methods, the conflict between these opposing poles adds significant juice to the plot. Cinematically, Mendes gives the film an old school Bond visual flair while at the same time capturing some amazing modern urban visuals (most notably in Shanghai) that punctuate this ongoing contrast. However, the credit for the merits of Skyfall begin and end with Daniel Craig. His Bond is flawed, scarred, brutal, and singularly focused with just enough sentimentality to snare the audiences’ empathy. Craig’s acting chops are the perfecting tool for Mendes to flesh out the character and the result is a deeper look into the man behind the loaded gun. It is said that a hero is only as good as his villain, thus Javier Bardem, as Silva, delivers a complex performance of a highly intelligent character whose experiences have pushed him beyond the emotional and psychological breaking point. Calculating and ruthless, Bardem’s Silva is elusive and hard to define; the perfect opposite to Bond’s obsessive sense of duty. As for the rest of the cast, Judi Dench is solid as M, slipping effortlessly into the role of mother figure to Bond and this time out she is given far more screen time to flesh out the character and leave a greater mark on the film. 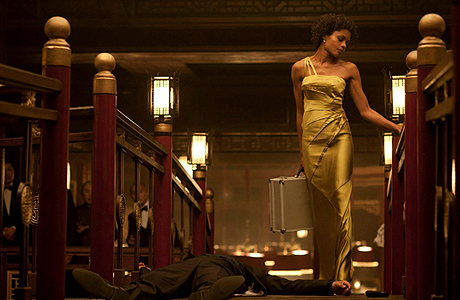 Naomie Harris is refreshing as Eve, sharing a great chemistry with Craig and bringing a lighter touch to the film to offset the waves of brutal physicality. Ralph Fiennes as buearucrat Mallory is only satisfactory, but much of this can be attributed to limited screen time, and Ben Whishaw as Quartermaster is a welcome addition to the narrative. 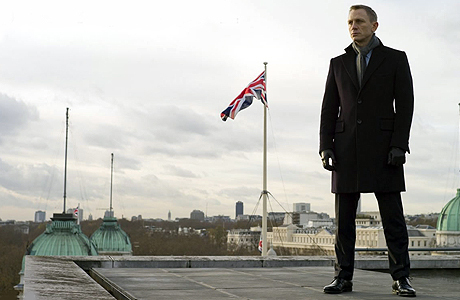 While Skyfall is a very good movie, it certainly is not perfect. The third act runs far too long and there are a couple of moments when Bardem’s Silva borders on camp. But the good so far outweighs the bad – from stunning visuals to riveting chase scenes to well choreographed hand-to-hand combat, and it all comes together to form a cutting edge film that acts as an homage to its cinematic past. I would absolutely recommend this to one and all and suggest a theatrical viewing to truly appreciate the masterful cinematography that Mendes and team bring to the project. The best compliment I can pay to the film is the moment the end credits started to roll, I found myself looking forward to 2014 when Daniel Craig reprises this role. 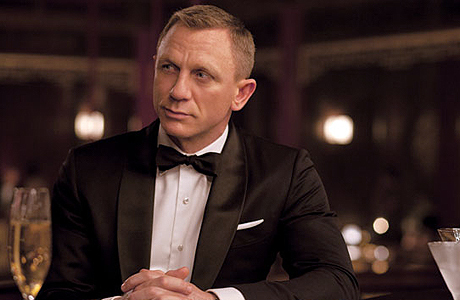 Standout Performance: Daniel Craig. It seems that Bond is the role he was born to play. Does realism make for a great movie? That’s a question put to the test in Take This Waltz. On some level you watch a movie for the escapism, for the sensationalism, for the unnatural acts that you are sure to never see while walking the lines of social norms. We watch movies to see Emma Watson and Dan Radcliffe wield magic wands, to see businessman Richard Gere woo prostitute Julia Roberts, and to see Bruce Willis drill a hole in a doomsday asteroid to save humanity (okay, maybe not the latter). But the point is, if you really wanted to see a true to life narrative unfold, all you would need do is open your eyes and look around you. And while Take This Waltz is not the portrait of realism, it does take this kind of approach which results in a story that is at times emotionally cutting, but ultimately slow and bland. The story focuses on Michelle Williams’ Margot - a woman married to Seth Rogan’s Lou, who meets Daniel (played by Luke Kirby). Their attraction is immediate and it tests their resolve as the two try to come to grips with their feelings and navigate the complications of their entanglement. Writer/director Sarah Polley takes an understated approach to telling this story and on one level delivers some cinematic moments that feel genuine. The chemistry between Kirby and Williams starts out as a strength in this capacity, but as the film moves forward it turns into a weakness as their story becomes a self-indulgent drab portrait of flawed individuals. With redemption for the protagonists not a possibility and their entertainment value dwindling as the plot moves forward, the quality of the film plummets immensely. It seems then the only point of the movie is to tell the story of two misguided narcissists who see fit to trample the lives of those they love for no better reason than self-indulgence. It’s like peeking into the lives of two people, who you don’t like and who aren’t interesting; and doing so for no good reason. As for the cast, Michelle Williams’ performance is fairly uninspiring. 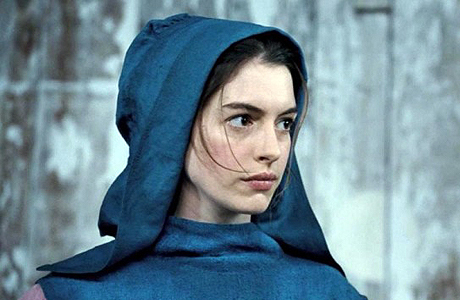 She is on this run of playing characters that are somewhat troubled, flawed, and spend half the movie in tears. That more or less sums up her character in this movie and truth be told she has played this type of role with much greater veracity in the past. Luke Kirby does her no favors as her accomplice in adultery. His Daniel plays like a low rent amalgamation of a dozen similar characters peppered across the pantheon of romance-centric indie movies. And as for Seth Rogen, he is the most competent of this triumvirate as the wronged husband, but that is not saying much. He is muted, neutered, and lacks any of the qualities that have made him an entertaining performer in the past. The finished product that is Take This Waltz is incredibly disappointing. On the surface, it is one of those films that looks and feels like a good art house flick given the stated premise and the cast, but when you get past the cinematography, the soundtrack, and the names on the marquee, what you find is a story that is bland, pointless, and a little too pseudo realistic for its own good. I would not recommend this movie unless you are looking for a movie that will push you to boredom and leave you feeling sordid and melancholic by time the credits roll. You have been warned. Standout Performance: Sarah Silverman. Her performance was just satisfactory throughout the movie, but she gets the nod for the last set of lines she delivers in the film, which come the closest to adding any redeeming qualities to the movie. There are two things one can surmise from watching the career of Steve Carell. The first is that the Hollywood believes he has two gears as an actor– either the not-so-bright, overly nonsensical funny man or the disenchanted, disengaged sad sack loner. The second things you can surmise is that Carell agrees with this assessment. Now it’s a bit of the chicken-or-the-egg conundrum in regards to how you weigh these two statements, but regardless, if you look at his body of work you can put almost all of his roles into one of these two buckets. In Seeking a Friend for the End for the World, Carell’s performance continues this trend. The plot of the movie is set against the backdrop of the arrival of an asteroid that promises to bring about the end of the world as we know it (hence the title). Carell plays Dodge, a down on his luck insurance salesman, who is dealing with a recent break up and the mediocrity of his life while civilization begins to crumble around him. 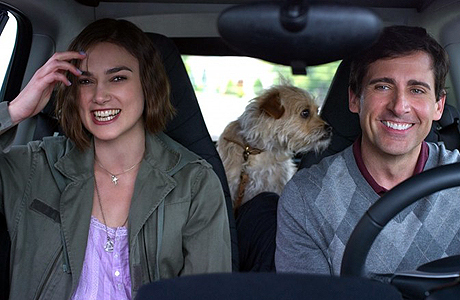 He meets Keira Knightley’s Penny and the two embark on a journey to reunite Carell with the love of his life and to get Penny back to her family in England. Writer/director Lorene Scafaria puts together a film that is a little too ambitious for its own good. On the one hand the film tries to act as a commentary about social norms via the end of the world backdrop. On the other hand, it is also a personal journey about making amends and coming to terms with the life one has led. But really, at its core it’s a romance film wrapped up in a road trip narrative. If this sounds like two too many layers for one movie to pull off, then you have company in this opinion. Carell and Knightley perform well as Dodge and Penny as neither are asked to pull anything off on screen that they haven’t already done in the past and their chemistry provides some genuinely lovely moments. The personal baggage of their characters, their sense of loss, and their personal journeys are what works best about the movie. Everything outside of that feels juvenile, second rate, and ultimately muddles the tone of the film. Good actors like Rob Corddry, Connie Britton, Patton Oswalt, and William Petersen are relegated to roles that were probably meant to be satirical by design, but come off as awkward and forced. It is a waste of good acting talent. I would not say that this is a great movie, but I wouldn’t necessarily say that it’s a bad one either. Underneath the attempts at satire and not-so-clever witticism is a really nice story. In fact, I would go so far as to say that the narrative would have been better served had the “end of the world” gimmick been scrapped in favor of a more conventional catalyst to spark the events of the film. Still the question remains, is the film worthy of a recommendation despite its flaws? Yes, but just barely. On a slow weeknight with no alternatives, this could be a serviceable rental (except for those who are total movie adrenaline junkies). But be warned, this film is by no means a candidate for “the feel good movie of the year” award, but you probably already figured this out from the title of the movie. Next up for Knightley is the greatly hyped Anna Karenina opposite Jude Law and for Carell a whole slew of movies (5) before the much anticipated Anchorman: The Legend Continues. 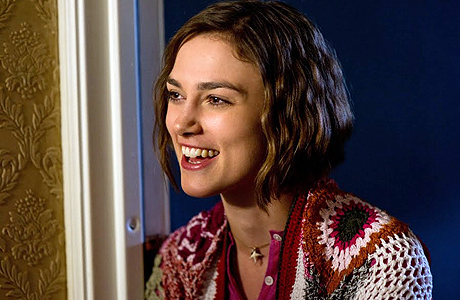 Standout Performance: Keira Knightley gets the nod for her portrayal of Penny – a quirky yet utterly endearing woman. She shines onscreen opposite Carell’s drab-by-design performance. Ever notice what happens when a great professional athlete hangs around the game too long? The experience of watching him/her perform as mere shadows of their former selves (and in some cases even worse) makes you forget how good they used to be at their craft. This happened with Willie Mays; it happened with Carl Yastrzemski, and more recently with Shaquille O’Neal. It’s only when you see their greatest hits highlight reel during one of those lifetime achievement moments that you remember their former greatness. Sadly, I realized that this phenomenon is precisely what happened to Mel Gibson as I watched the movie Get the Gringo. I made a conscious decision to avoid Mel Gibson movies when he started to become the whipping boy for TMZ and the various dirt rags. For an abundance of reasons, his life was in a state of flux and the tabloid journalist could smell the blood in the water. He had long since stopped churning out Oscar nominated movies, but this kind of personal baggage would most assuredly mark the beginning of the end. Sadly, I broke my stance to watch Get the Gringo and found that not only were the days of Braveheart and Lethal Weapon long gone, but also that Gibson’s current work was on the fast track to the $2.99 DVD bin at Walmart. Simply put, Get the Gringo is that bad. The plot follows Gibson’s character Driver, a serial criminal who is sent to a Mexican prison for robbery. While in this small town that doubles as a jail, Gibson befriends a young boy and his mother both of whom live in the commune and aid him in navigating the unfriendly waters. The boy is of particular interest to the crime boss who runs the joint because of his rare blood type and it is up to Gibson to save the boy, his mother, and find a way to break out of the prison. Despite the stench that emanates from this film, there are a few things that do work a bit. It is gritty and violent and every once in a while you see flashes of the old Gibson who is both sharp witted and menacing all at the same time. But the plot is far-fetched and its mechanisms so over-to-top that the proceedings feel utterly cheesy. The cast does little to remedy this, as most of the performances feel like the acting equivalent of painting-by-numbers. Thus it is difficult to empathize with any of the major players so ultimately you feel as though you are watching portraits of random violence against the backdrop of a non-descript corrupt Mexican prison. As I mentioned before, Mel Gibson truly is a shadow of his former self onscreen. The sharp wit, the charisma, and the engaging persona have been replaced by a tired weathered delivery. He motions across the screen like a punch drunk boxer who has endured a few rounds too many. Sure ,in a lot of ways his performance is hindered by the poor screenplay for which he only has himself to blame (since he wrote it), but in his salad days, Gibson could take a mediocre script like Lethal Weapon 4 and make it great. I don’t recommend this movie to the casual movie fan. There are too many other titles in the subgenre that is the jailhouse narrative to settle for this brand of bad and there is very little entertainment value to be found in this film. As for those ardent fans of Mel Gibson who watched everything from Mad Max to What Women Want, I would even more strongly suggest that you avoid this movie. It can only tarnish your memories of what was once an A+ list acting/directing career. Here’s hoping that Gibson can put his demons to rest, that Hollywood can forgive his transgressions, and that he can find that golden touch again. Standout Performance: Peter Stormare. He doesn’t get much screen time and his work always borders on campy, but the guy really knows how to play a greasy sleaze bag.